Scuba Center is an authorized OMER Dealer. The history of Omersub began in the late 1970s, in Northern Italy. In 2009, Omersub re-launched the Sporasub brand and has successfully positioned this well-known brand at the high end of the market segment. In 2013, Omersub joined Aqua Lung, the pioneering worldwide leader in scuba diving equipment. Today, Omersub is recognized as the worldwide leader in the manufacturing and distribution of innovative, quality spearfishing and free diving equipment and distributed in over 70 countries. Through passion, innovation, and unwavering commitment to excellence, Omersub and Sporasub are the most trusted brands by spearfishing and free diving enthusiasts. 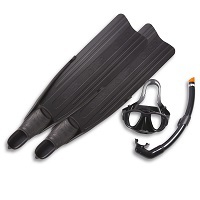 The Pelagic Set contains a Black silicone Alien mask, Zoom snorkel and Eagleray fins. 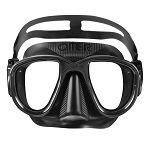 The Alien is a freediving and spearfishing-specific mask with low internal volume. 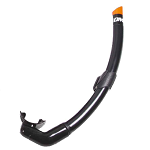 The Zoom is an ergonomically designed freediving snorkel with a comfortable silicone mouthpiece. 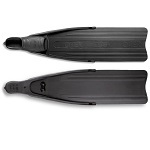 The Eagleray freediving fins feature a thermo rubber footpocket with an excellent quality/price ratio. The blades are produced in a low modular polypropylene. With a 21-degree angle between footpocket and blade, it is a powerful fin, but easy to use for beginners as well as skilled freedivers.